See the weekly newsletter for an up-to-date Events Calendar for these and many more clubs and organizations in San Carlos Mexico. Castaway Kids Mexico is a wonderful group of volunteers willing to lend a hand so that others less fortunate can better their own lives. From providing school scholarships to needy kids, to hosting recreational activities for children from the poorest sections of town, to providing food, clothing and shelter to families in emergency situations…Castaway Kids volunteers are an active bunch! Rescate San Carlos provides emergency first aid medical care and ambulance service to San Carlos Sonora residents and visitors. 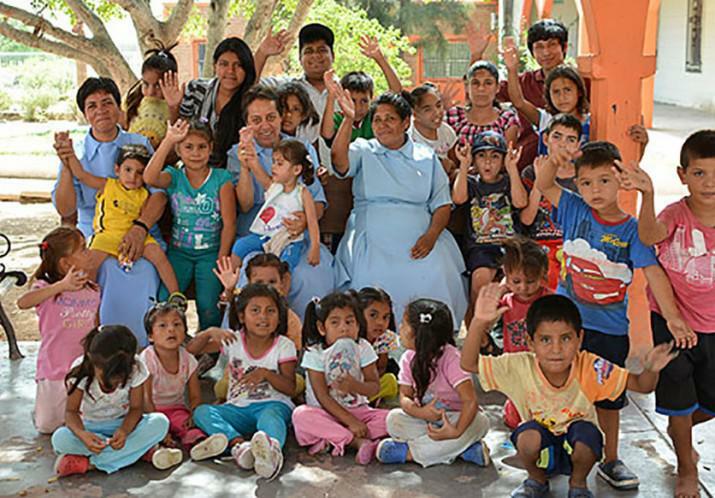 San Carlos Rotary Club is an English-speaking Rotary Club whose primary focus is on the education of Mexican children and the care of elderly Mexicans without family support. The Sociedad Benefactora y Proteccion Animales (SBPA) SBPA operates a neuter/spay Clinic in San Carlos. The clinic operates solely with volunteer help. The purpose of the clinic is two-fold: (1) reduce the overpopulation of animals by offering neuter/spay services for strays, abandoned and feral animals; and (2) further reduce the threat of transmittable diseases through a vaccination program. For nearly fifty years non-profit Casa Hogar Rancho del Niño San Humberto has provided shelter, food, clothing, healthcare, education and physical and emotional security to some of the most disadvantaged children in the state of Sonora and NW Mexico. Centro Ocupacional, an after-school vocational education program, is under construction, looking toward a September 2015 opening, with three labs and three classrooms. They hope to serve 100 youths, from seventh to 12th grade, as well as adults who can use basic plumbing or electrical skills. 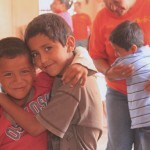 Bellas Artes is a music and dance center for kids from poor or marginalized families, serving 275 students, ages 6 to 20. 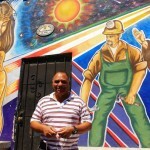 Its inspiration, leader and builder is Brother Ivo Toneck, whose name is honored on the Foundation, the building, the street and the Guaymas Civic Auditorium, having led its reconstruction effort. Belen Casa de Pan, a feeding program along with recreation, learning and Bible study that provides 40-60 children with a meal and a caring environment three mornings a week, 9:30 to 11 a.m. Tuesday,Thursday and Saturday. Casa Franciscana’s clinic (“Dispensario Medico”), opened in 1971 in Guaymas by Franciscan friars, provides free medical and dental care to the poor, both prevention and treatment. Open 8:30am to 1:00pm Monday through Friday; from 8:30am to noon on Saturday. Hijos del Rey is an orphanage for the homeless or abandoned, currently with 13 kids, ranging from 2 months to 12 years old. 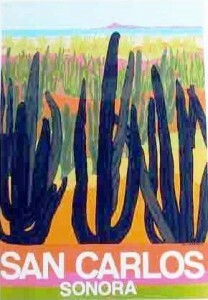 Supported primarily by American and Canadian private donations and also through the San Carlos Community Church. 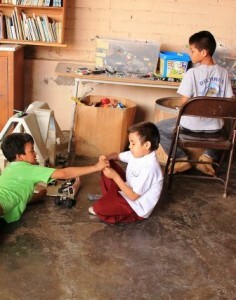 The orphanage is 10 years old, and one boy who lived there for a decade is now in college. Comedor Apoyo Infantil, the children’s kitchen in Guaymas, which provides children in need with something to eat, and a place to study or play safely after school. Ages range from pre-school to junior high. Open weekdays; volunteers needed 2-3 p.m.
San Carlos has English speaking meetings for Alcoholics Anonymous. Click to see the schedule and locations. 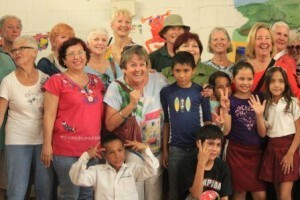 Las Madrinas (The Godmothers) is a ladies club that physically and financially helps the Hogar Paz y Bien orphanage, which provides a home for needy and orphaned children in the Guaymas area. A group of volunteers from San Carlos teach English to pre-schoolers and older students. Volunteer teachers and helpers are needed and welcome. San Carlos Chapter, National Society Daughters of the American Revolution, organized Dec. 2007. The DAR is a women’s service organization that encourages patriotism, promotes historic preservation, and provides educational opportunities. NSDAR was organized in 1890 and its motto is God, Home and Country. 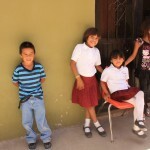 San Carlos Chapter promotes education locally supporting a student through the CastawayKids. For more information, contact Paty Brumm at patricia.brumm@untoquedeluz.com.